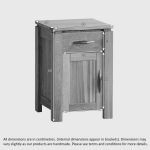 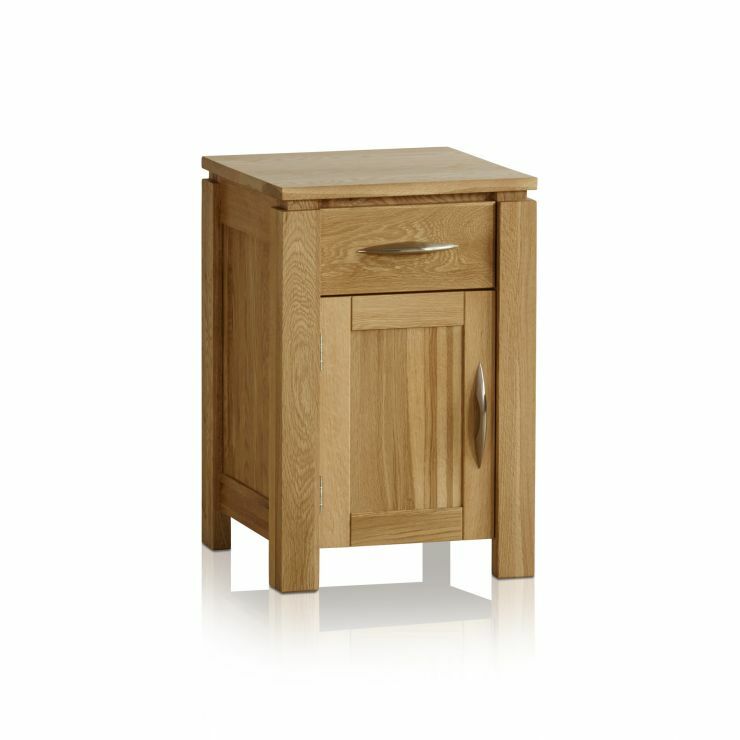 The Galway Natural Solid Oak Bedside Table will complement any one of our natural solid oak beds. 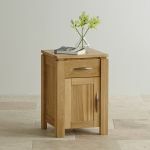 Handcrafted from the finest cuts of solid oak the sleek, clean-cut design truly accentuates the golden hues and exquisite grain patterns of the wood. 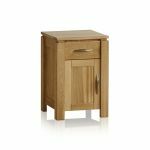 Design features include inlaid panelled sides, a raised effect top and contemporary brushed metal handles. 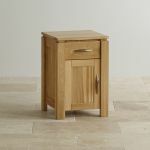 The compact drawer at the top of the bedside table is crafted using traditional dovetail joints, which are noted for their strength and longevity. 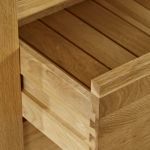 Below the drawer you'll find a spacious cupboard - perfect for tidying away your reading material or other knickknacks! 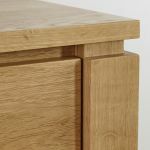 We never skimp on materials and we never use chipboard, MDF or veneers in any of our products - because at Oak Furniture Land, quality runs throughout.